Police say the female Arab resident of Tayibe arrested following emergency alert in Israel's north had no weapons on her person. 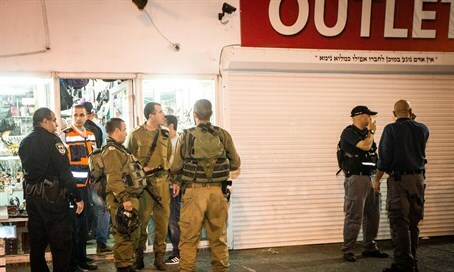 The female Arab terror suspect arrested in Nahariya on Monday night was not planning to conduct an attack, police revealed on Tuesday morning. An initial police investigation found the attack warning transferred to police and the Israel Security Agency was baseless and that the 28-year-old woman had traveled to the northern city following a dispute with her father. Security forces noted no weapons or explosives were found on Fatma Azbargah's person and that she was released after being questioned. Police had erected emergency checkpoints from Haifa to Nahariya on Monday evening following information that a female Arab resident of Tayibe intended to carry out a terrorist attack in northern Israel. Though originally from Tayibe in the Triangle area where over 300,000 Arab citizens live, Azbargah has been residing in Jerusalem following a family quarrel. A large presence of security forces were stationed at the emergency checkpoints, checking all vehicles that passed through. Azbargah was eventually discovered inside a taxi and was taken in for questioning after a police sapper determined she was not carrying explosives. A probe into the matter confirmed she had not been planning an attack.